The space for cross-platform messaging applications is as crowded as ever with applications like BBM, WhatsApp, Kik, Skype, WeChat, Google Hangouts, and many others battling for megabytes of space on everyone's smartphones. Among those named, BBM resonates with me more than the others. Having been a BlackBerry user exclusively for the past five years, BBM has become an indispensable application to me. While I was not the biggest user of BBM on legacy BlackBerry devices, it's importance grew once I moved to BlackBerry 10. Some of my closest relationships have formed through BBM and, because of that, I can never truly let go of the messaging platform. Recently, I've opted to give iOS its first real try on an iPhone 6 Plus. Thankfully, BBM is no longer tied to BlackBerry so I can maintain contact with my BBM-exclusive contacts. However, a major part of the iOS experience is iMessage, Apple's "answer" to BlackBerry's BBM. When people talk about cross-platform messaging applications, iMessage seems to make its name into the mix. 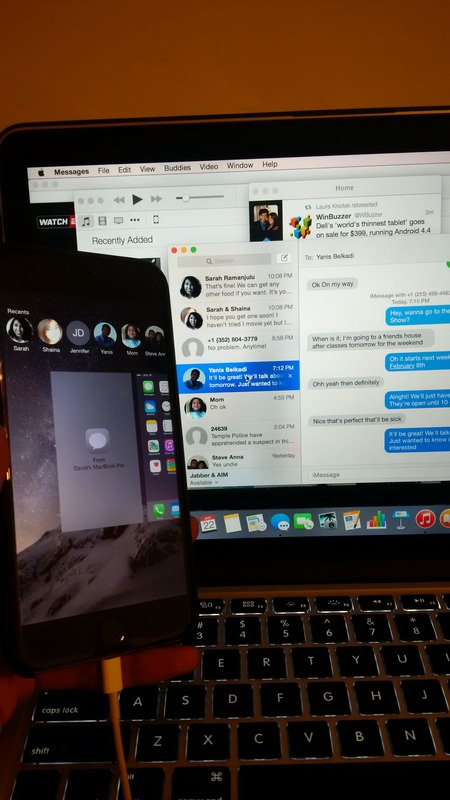 So I'd just like to share my thoughts on iMessage and BBM on both BlackBerry 10 and iOS. BBM was not the hook which kept me tied to my BlackBerry for five years. It was only over this past year, BBM has become the single-most used and important application on my BlackBerry. To any BlackBerry user, this isn't surprising. For me, BBM had a few draws which separated it from the others. For one, BBM's use of PINs (8-digit hexadecimal identifiers unique to BlackBerry hardware and now each user) made sharing contact information easy without giving away personal data. Even if you did acquire someone's PIN, you would have to gain their approval to talk to them, and either could remove the other effortlessly. BBM also alerted you to when a messaged was delivered to and read by the recipient, a feature that, once experienced, becomes addicting. The introduction of BBM Channels puts BBM squarely in contention with services like Facebook and Twitter. BBM's improved sharing functionality made it simple for both business and consumer users to share files, pictures, and even location. BBM Voice and BBM Video made video conferencing and even casual video chat an enjoyable and experience and Screen Share, in particular, a very novel and useful utility. The biggest change to BBM, though, came with the announcement of its availability on iOS and Android. Now, BBM is available to users on BlackBerry, iOS, Android, Windows Phone, and, through BlackBerry Blend, Windows and Mac users with BlackBerry devices running OS 10.3 and above. BBM has become more than a simple messaging app. iMessage is Apple's response to BBM and, as some see it, the company's attempt to sway BlackBerry users tied to BBM onto iOS. The idea behind iMessage is very simple; when communicating between two iOS devices, the text/SMS message would be sent over data instead of the cellular network. In essence, it was a very watered down version of BBM in its inception. 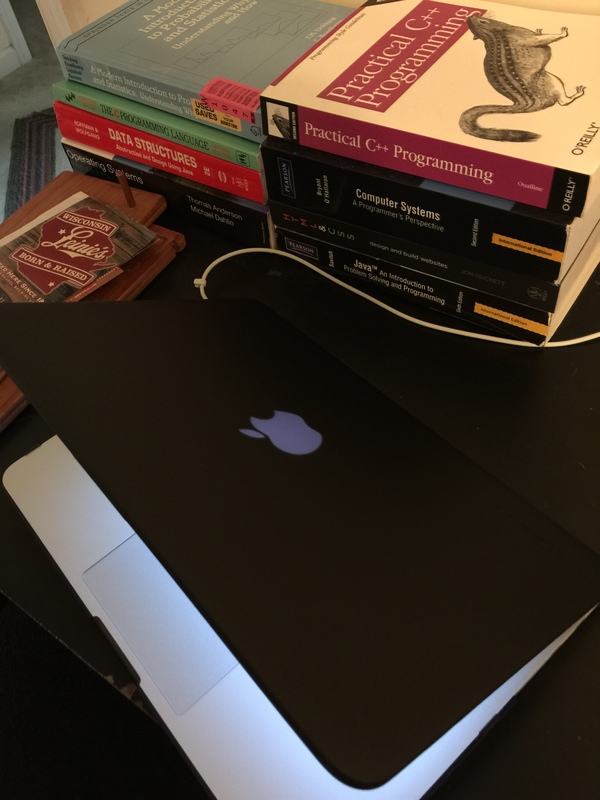 It, though, made communicating with iOS and Mac devices easier and more reliable. iMessage has evolved over time. Users can now manually toggle whether they'd like to send "read receipts" (telling your recipient you've read their message). Users of iMessage can also see when the person with which they're speaking is typing a message. Getting an iPhone, I was excited to have both iMessage and BBM on one phone. After all, most of my close friends and family use iPhones and, despite my most diligent attempts, I just could not get them to install or continue using BBM. The few who did install it uninstalled it or never responded to BBMs. I found it puzzling that this most celebrated and long-awaited application faced such opposition. I wanted to explore why this was for myself. After a week of owning an iPhone, I have my answer. BBM's relative weakness on other platforms isn't really BlackBerry's fault at all. It became easy for me to see why BlackBerry users could not figure why BBM wasn't as popular on competing platforms as it is on BlackBerry 10, and this has everything to do with the strength of BlackBerry 10. For those of you unfamiliar with BlackBerry 10, it's signature feature is inclusion of the BlackBerry Hub. The BlackBerry Hub provides its users a single, unified interface for every communication which enters or exits the device, including phone calls, emails, BBMs, texts, WhatsApp messages, Facebook notifications, Twitter notifications, and much more. The key functionality here is that BBMs and texts appear in the same inbox. This makes BlackBerry 10 users very, very efficient in communicating with their friends or colleagues as they seamlessly transition from one to the other. This kind of efficiency is almost unparalleled and BlackBerry deserves much applause for their implementation of the BlackBerry Hub. Here is where iMessage and iOS differentiate themselves from BlackBerry 10. iOS has one application for both text messages and iMessages. The transition between both is equally as seamless, but in a different way. 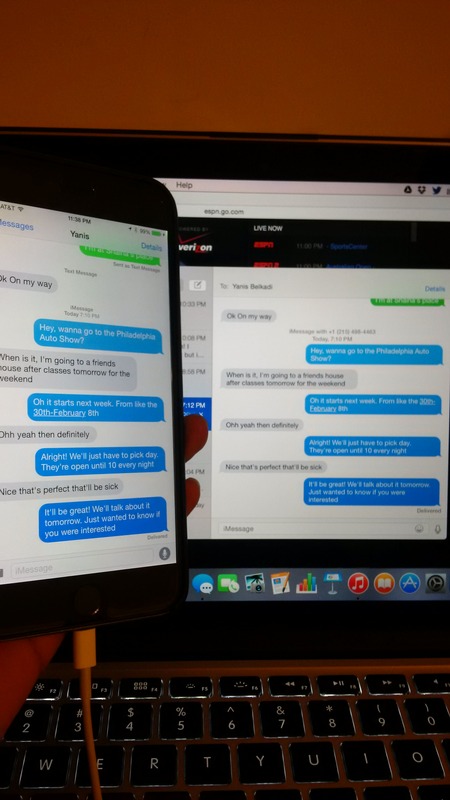 Yes, switching between an iMessage and a text message is as simple as it is on BlackBerry 10. However, iMessage will automatically send your message as a text message if iMessage (rather, a data connection) is unavailable. Fundamentally, this makes me view iMessage and BBM as two distinct applications which don't compete with one another. So what about iMessage and BBM on iOS? BBM on iOS is an application like any other. When you receive a message, you can opt to receive push notifications for the message. In this respect, BBM functions very similarly to BBM on BlackBerry. The "Ds" and "Rs" on BBM also functions identically to BlackBerry's BBM. This may be the first point of contention that may keep some from BBM. As I mentioned earlier, iMessage has incorporated a similar mechanism into iMessage, but iMessage's use of "delievered" and "read" signals are a bit different than BBM's. On BBM, when a message is delivered to me, it will stay marked as "delivered" until I physically interact with the message. If I open the message, type into the text field to reply, or even press the "back" button, my message changes from "delivered" to "read." Even using BlackBerry 10's banner and actionable notifications will not mark the message as "read" until the reply has been sent. iMessage is far less "forgiving." If a message is delivered to you and your screen is on and you are within the conversation thread, the message is marked as "read." Acting on iOS banner and actionable notifications will also mark the message as "read." The use of read receipts is entirely optional, however, and its use has been met with controversy in my circles. Most of my friends prefer I not use the feature, but after having used BBM for so long, it's a difficult feature to relinquish. But BBM's obligatory use of this feature may be just a tad off-putting to users who aren't so used to it. BBM notifications on iOS are not the same as BBM notifications on BlackBerry. On BlackBerry, you can act on BBM notifications from within any application. On the BlackBerry 10 lock screen, tapping on a BBM will take you straight into the conversation into the BlackBerry Hub. iOS 8 introduced similar features for iMessage, allowing actionable notifications throughout the entire OS and allowing replies straight from the lock screen. BBM messages on iOS, however, do not enjoy the same privileges. 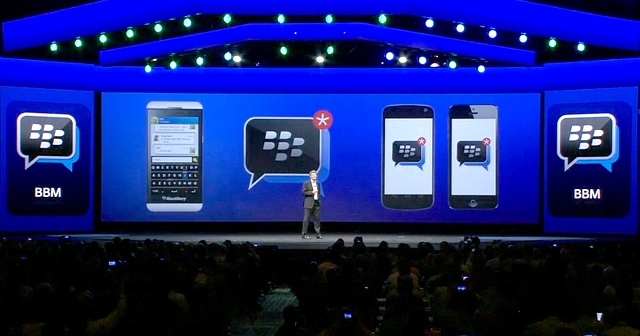 BBMs must be responded to from within the BBM app, fragmenting users between their SMS/iMessages and BBMs. BBM Groups are a particular pain point. On BlackBerry 10, users have the option to turn off group notifications in the BlackBerry Hub. No such option exists on BBM for iOS, meaning that in order to mute groups, you must toggle off notifications for BBM entirely. BBM Group notifications on iOS are also done strangely. Each entry into a group causes a notification to appear, meaning that an entire group conversation will appear within the Notifications area on iOS, despite all being part of one group. Turning off push notifications, however, means that any kind of notification for BBM is turned off. In essence, I can't tell when I have new BBMs because turning off push notifications also turns off the notification icon atop the BBM icon. I have to constantly check BBM for new messages. The end result is that I respond to BBMs much less frequently than I used to on BlackBerry 10. In essence, what I want is an all-encompassing BBM experience on iOS as I had on BlackBerry 10. But there's more to it. When people compare BBM and iMessage, it's not exactly a fair comparison. BBM is not simply a rerouting of texts through data; it's so much more than that. BBM is its own social platform, complete with features that make it an attractive tool for business purposes and casual users. Yes, iMessage is more than a redirecting of messages through data as well, but it is, in no way, as iconic or as feature-rich as BBM. The "Ds" and "Rs" used to be a huge draw, yet BBM has so much more now. Yes, BBM will always be limited by the permissions it is allowed on non-BlackBerry platforms, but I want BBM to be the best app on any platform I use. BBM is an extension of BlackBerry and to users of other platforms, it is the face of BlackBerry. I want BBM to succeed because BBM succeeding everywhere is BlackBerry succeeding in one market I know it can dominate in. If BBM is going to be available to users of other platforms, it should be the best experience possible. I want a BBM that doesn't intimidate iOS users with an unfamiliar UI, but one that's inviting and comfortable. I want a BBM optimized for the new iPhone 6 and 6 Plus. I want a BBM that has more control over notifications (if that's possible). I believe BBM to be the single-best messaging client on earth and I want a BBM experience on iOS that is as indispensable and as enjoyable as BBM on BlackBerry 10. Everyone has defining qualities, quirks, etc. that make them, well, them. Many of us have certain things we want others to associate with us, be it our hair style/color, the way we dress, the TV shows or movies we watch, or what have you. In this age of mobile technology and warring tech giants, the more "involved" of us use the smartphone we carry to be a part of the definition of who we are. Anyone who frequents Twitter, at some point, may have seen a reference to a "#TeamiPhone," a "#TeamAndroid," or a "#TeamWindowsPhone" (maybe not that last one), signifying the user's device or operating system (OS) of choice. Those are the mainstream; the ones everyone talks about and the type of devices you'd mostly see on the streets of your locality. As a technology enthusiast, I can say that I do choose to engage in the "#TeamX" and am quite fond of it. However, as you may have guessed from the title, I don't use any of the three aforementioned mobile platforms. No, the platform of my choice is far more special to me and also incredibly meaningful beyond just the phone I use. It's why I'm proud to tweet with the hashtag #TeamBlackBerry. However, in order to understand why I am so attached to my BlackBerry, naturally, it's imperative to go back to when this affection began and explore how it grew. browser all in your pocket was amazing. Then, there was the full, physical keyboard. I loved it, but I didn't like the form. 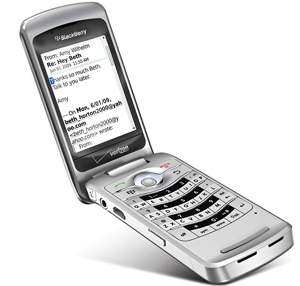 Luckily for me, that was the year BlackBerry released the Pearl Flip 8220/8230. It was everything I had expected and more. It was the perfect combination of everything I loved about flip phones with all I envied when using my mom's Curve. I had become a smartphone user. But, I had, inadvertently, become part of something that would become so important to me, as well. But it wasn't mine to see just yet. October 2011 was the year RIM experienced its major outage (which you can read about here: http://www.reuters.com/article/2011/10/12/us-blackberry-idUSTRE79B24Y20111012). 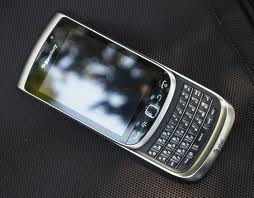 Being a BlackBerry user, it was difficult to ignore, even though I, personally, felt little disruption from it at all. But the mistrust was growing. 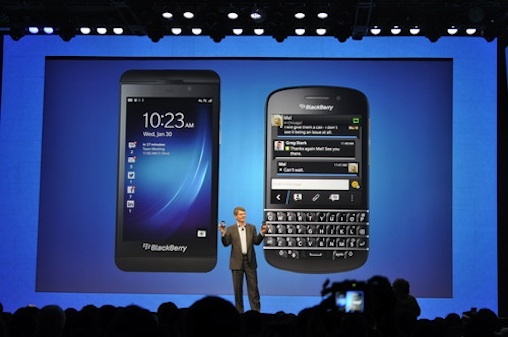 RIM was facing increasing pressure from Apple and Android to deliver something new. It was easy to forget that BlackBerry 7 was an evolution from the same OS that ran on BlackBerry's pagers from in 1999. That's software that's 12-years-old. From a purely software perspective, it couldn't run the same kinds of applications that ran on Apple's iOS (released in 2007) or Google's Android (2008), regardless of how powerful the hardware specifications were. early 2011. 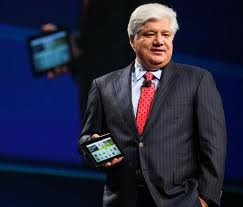 The ill-fated but deeply-beloved tablet was marred by broken promise after broken promise. Initially thought to have much potential as an "iPad-killer," releasing a tablet without apps for mail, contacts, and calendar/events was far too fatal. Even in October 2011, it was clear that BBX (later renamed "BlackBerry 10") was far away. In the meantime, RIM had to compete with Apple and Google with an outdated platform running on outdated hardware. 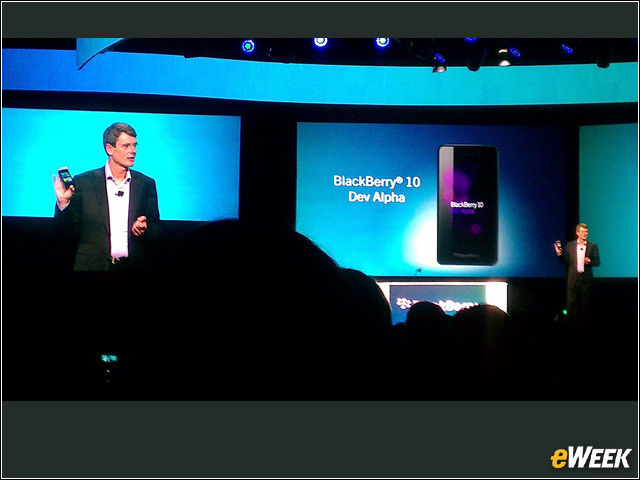 At BlackBerry's fall developer conference later that year, we saw even more of BlackBerry 10. The more I saw of it, the more I fell in love with it, and I couldn't wait to see more. Positive sentiment towards BlackBerry and RIM was growing, and, after a year or more of negativity, it was a welcome sight. A slight hiccup came in the form of a small delay (which was much smaller than was initially made out to be). By the end of 2012, a date was set: 30 January 2013. On that day, BlackBerry 10 would be officially unveiled to the public at a huge media event in New York City, held contemporaneously with several, much smaller events globally. The countdown began. The week leading up to and the morning of 30 January was an exciting period of time. After having to sit and watch while numerous other companies like Apple, Microsoft, Samsung, Google, etc. announced new devices and products, BlackBerry users have had to sit and wait. But on that morning (skipping class, by the way), I, along with ardent BlackBerry fans across the world, found one way or another to watch CEO Thorsten Heins announce that not only was "RIM" no more (changed to "BlackBerry"), but also announce the first two BlackBerry 10 smartphones: the BlackBerry Z10 and Q10. Soon after announcing the devices themselves, he dropped the bombshell which shattered my excitement. What was rumored to be a "global" release turned out to be a global launch instead. Canada, the U.K., and many other regions were slated to have devices available within days or weeks of the event. However, Mr. Heins could give no solid U.S. release date; only an "expectation" of a March release. 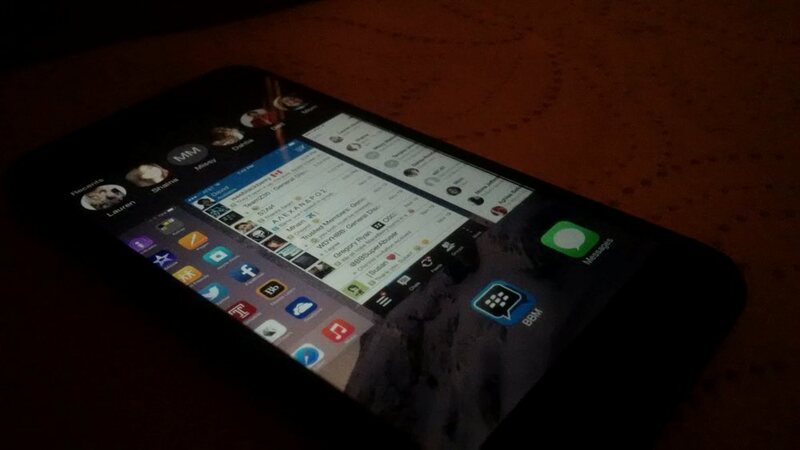 Perhaps I was foolish for thinking that maybe, just maybe, I'd have a BlackBerry Z10 within the next week or two. But, alas, I waited. Questions surrounding BlackBerry's future arose again in August 2013, when the company actively sought a major change in strategy. And, once again, those familiar "Is BlackBerry dead?" questions were asked. I was asked those questions when I had my Torch in 2011 and much of 2012. However, at least then I could always respond with "Well, BlackBerry 10 is coming soon." But in August 2013, BlackBerry 10 was out everywhere and the company was still finding itself in a precarious situation. Still, despite that, I knew that, no matter what was being said by journalists, media pundits, and stock analysts, the phone in my hand was the best that could be done. Those questions were put to a rest later that autumn through some business deals that aren't really necessary to get into right now. However, as a result of said deals, BlackBerry was able to maintain business as usual (for the most part), though under a new CEO, John Chen. Fall 2013 also marked a pointed change for me, as well. During this time, I had begun to expand my presence on social media a bit, namely Twitter. I wasn't particularly good at using the platform, but I eventually accommodated and found it to be an incredibly versatile service. In addition to being able to gather news and information in real time, Twitter seemed to enable users with common interests to interact. In fact, it even seemed to promote this. Having always participated in anonymous forums to live my BlackBerry passions (as in my everyday life, I am surrounded by users of other platforms), I found Twitter to be my new social network of choice. Up until this point, I've yet to mention one quintessential BlackBerry feature; BBM. BlackBerry Messenger, BlackBerry's own social network that was present on every BlackBerry I've owned since my Pearl. It was an app I thought was utterly useless. I never used it because I never saw the point of using it. Until September 2013, I could only use it with other BlackBerry users, and I didn't know of many (and the ones I did know of didn't use the service either). I didn't get BBM, that is, until I started using Twitter. For those unfamiliar with BBM, every BlackBerry device (and now BlackBerry ID) is assigned a unique 8-digit hexadecimal code called a "PIN". BBM is a chat application (which is now more of a social network) that makes use of those PINs to send messages to other BlackBerrys. Now that BBM is on iOS, Android, and (soon to be) Windows Phone, the idea of "PIN-sharing" has grown. How is this tied to Twitter? PIN sharing on Twitter is the most secure way, in my opinion, to exchange contact information. BBM allows users to accept or reject any user that sends them an invitation to chat. One could tweet out their PIN and only accept the users they want to chat with while rejecting the ones they don't know. Once I began to interact with other BlackBerry enthusiasts on Twitter, my BBM contact list grew from 0 to over 50 rapidly. These people were more than simply "BlackBerry users." They were real people that I was forming real relationships with over a common interest we both shared. To me, it was incredible. In September, BlackBerry released the "Z30"; the successor the Z10 with its main improvements being a much larger 5" display and much better battery life. Unfortunately, this device was released only to Verizon in the United States, leaving AT&T users with little option but to wait for a possible later release date or simply import an international model. My opportunity to get a Z30 finally arose in late-March when BlackBerry began selling the device directly to customers on its site. In order to acquire one, though, I was forced to make the difficult decision to sell my beloved Z10. However, after much encouragement from my "Twitter friends," I did so and purchased a Z30. 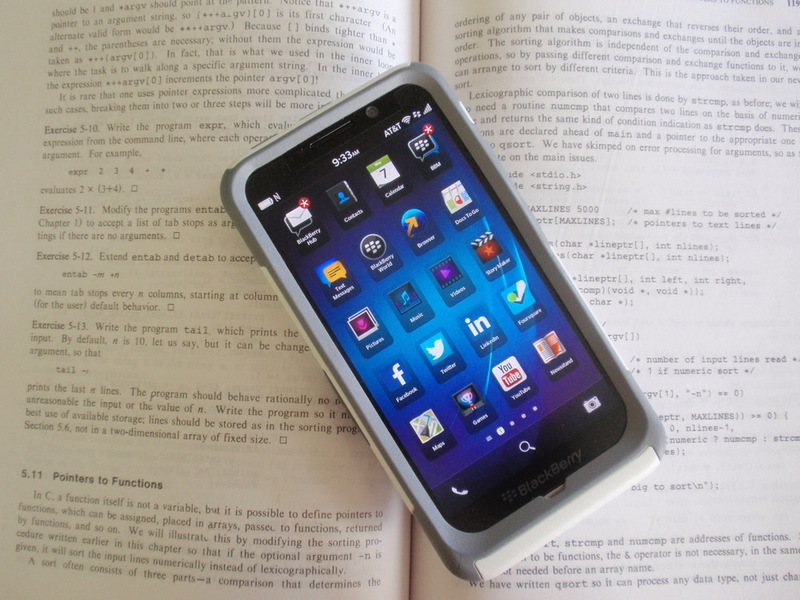 From the day I placed an order for my Z30 to the day it arrived, those so-called "Twitter friends" made me feel incredible simply for purchasing a device. I felt that it was almost absurd to get that excited over someone whom they didn't even know getting a new phone. I was in both disbelief but, at the same time, utterly humbled. "How could people I don't even know care so much?" I thought to myself. It caused me to shift the way I thought about people, about social interactions, about Twitter, and about this "TeamBlackBerry." I realized my own way of thinking was absurd and archaic, even. I was using some nonsense moniker like "Twitter friends" to describe REAL people that cared about me. They no longer felt like strangers. I stopped making a line between my "friends" and my "Twitter friends." I no longer have "Twitter friends." Instead, I have friends I happened to have met on Twitter. I talk to them everyday in the same manner I talk to the friends I've personally met and have grown-up with. There is no distinction. In fact, I'd go as far to say that many of them are more involved than many of the friends I've met. To me, it's something I could have never foreseen and I'm so happy to have these people. It's almost unfathomable for me to believe that I've formed friendships with people all across the globe and the only initial common factor was that we both used BlackBerrys. And, to top it off, I cannot even begin to describe how much I love and cherish the members of #TeamBlackBerry with whom I've formed friendships. They are, honestly, no different to the friends I can play sports or have coffee with everyday. #TeamBlackBerry, as a whole, has been through quite its fair share of ups and downs. At one point, its-no-our future was called into serious question. Our friends, colleagues, parents, really everyone asked whether we'd soon be forced to part with our beloved devices. Those questions arose in 2011. Despite many journalists' predictions about RIM's imminent "death", today, three years later, BlackBerry stands proud. Even more proud than BlackBerry are its fans, members of #TeamBlackBerry. All of us, rallying around our device-maker of choice, our brand of choice, the friends we've made. I was once asked whether I was embarrassed to be carrying a BlackBerry. I never was. Today, I am proud to carry my Z30 and stand behind this company which has given me much more than a series of smartphones. That's why owning a BlackBerry means more to me than most could imagine. That's why #TeamBlackBerry is more than a hashtag to me.